When will be Krypto the Superdog next episode air date? Is Krypto the Superdog renewed or cancelled? Where to countdown Krypto the Superdog air dates? Is Krypto the Superdog worth watching? Krypto The Superdog is a Cartoon Network series chronicling Krypto, Kevin, and Streaky the Supercat's adventures. The series has Paul Dini on staff who was once on-board with Bruce Timm's DCAU. The series also employs Linda M. Steiner who worked with Dini on the series Duck Dodgers. Linda also worked on The Batman and Teen Titans. Alan Burnett is also a person who worked on the DCAU alongside Dini. He also worked with Steiner on The Batman. 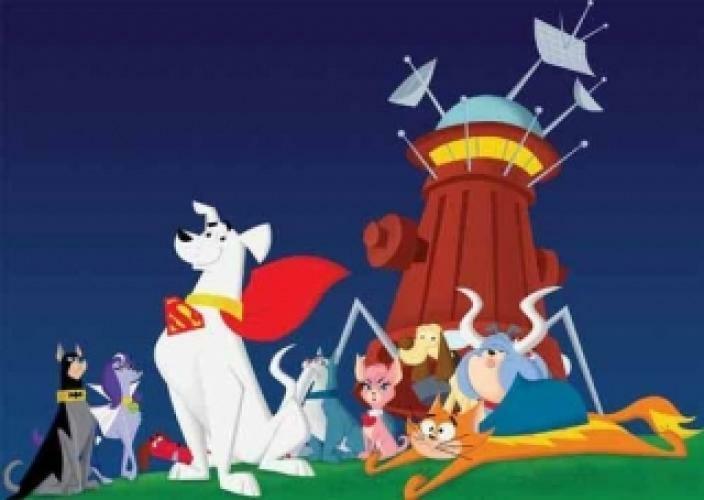 The series began with "Krypto's Scrypto" which was a two part episode, but since each half hour episode had 2 segments with 15 minutes each, it is considered a full episode. In that episode, Krypto's origin was told, and we got the only glimpse of Superman through-out the first season. The discussion of the show being cancelled has been made. The show is cancelled. EpisoDate.com is your TV show guide to Countdown Krypto the Superdog Episode Air Dates and to stay in touch with Krypto the Superdog next episode Air Date and your others favorite TV Shows. Add the shows you like to a "Watchlist" and let the site take it from there.